What makes The Best 376 Colleges the most popular college guide? 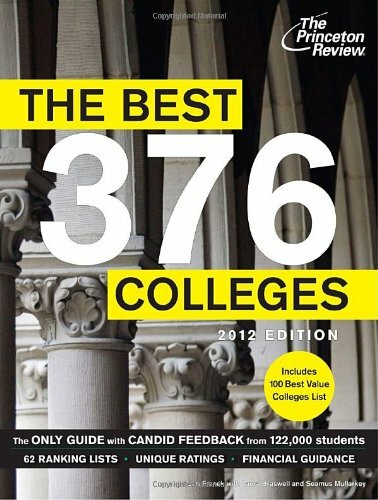 *BONUS FEATURES like the “100 Best Value Colleges List,” plus unique ratings with all 376 schools scored on Financial Aid, Quality of Life, Fire Safety, Green Ratings, and more. Written for any student or parent mystified by the confusing college admissions process, The Best 376 Colleges provides the facts and information needed to make a smart decision about which of the country’s best schools to consider.